When refrigerated space is an integral part of your company, rely on Branch River’s 75 years of in-house cold storage experience. The Branch River staff has the ability to design, manufacture and install walk-in coolers, display coolers, freezers, clean rooms, cold storage warehouses and prep rooms. Branch River not only manufacturers Foam Control EPS panels and cold storage doors but also have access to an array of cold storage products from industry leading companies. 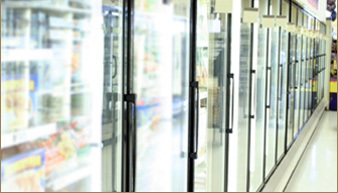 If repairs or service is required for your existing coolers, freezers or cold storage doors Branch River can react quickly to meet your needs with qualified technicians. Customers & employees make trip after trip through your cooler door, subjecting them to constant wear and tear. Branch River replaces worn out or damaged doors, hinges, handles and latches, improving cooler door function & efficiency. Branch River understands what it takes for a walk-in or reach-in cooler to achieve peak performance. Our products and contacts in the industry allow us to provide cooler solutions backed by high-quality hardware and equipment. Whether your cold storage requirements are associated with restaurants, package stores, convenience stores or super markets, Branch River will tailor a design to match the needs of your business. Keeping product cold is a simple concept, but hardly an easy process. 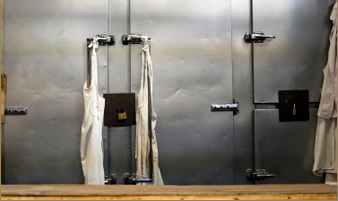 Branch River’s cold storage expertise allow us to provide EPS foam panel solutions tailored specifically to meet the requirements of food processing, clean rooms and storage within your facility. With years of construction experience, Branch River can also effectively manage the design, site work, steel erecting, build out and equipment installation for your new cold storage facility. Turn key cold storage services from Branch River are just a call away. 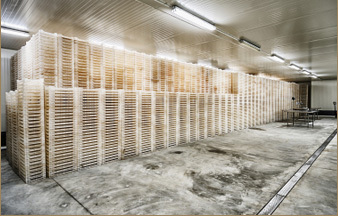 Call Branch River Plastics today for cold storage solutions that let you cool with confidence!